Pirurvik, Iqaluit’s Inuktitut language training centre, has a new goal: to train instructors from Nunavut communities to teach Inuktitut in different ways and in their own dialects when they return home. The program, just introduced this year, is currently offered in Iqaluit but is intended to make language training available across the territory on a regular basis. This includes communities such as Cambridge Bay, Rankin Inlet, Arviat and Pond Inlet. “What we need to do is bring everybody up to speed so that all the dialects have an equal basis to start from,” said Gavin Nesbitt, the operations director of Pirurvik. But even though people from all regions of Nunavut will receive training, it doesn’t mean there “needs to be 10 versions of everything that’s produced” because of dialect differences. “That’s not the objective, the problem is there’s never been sufficient investment to really be able to look at them all and say ‘these are the actually differences, these are what we can do,’” Nesbitt said. And that kind of development should have taken place 30 years ago, he said. Language training won’t work in the long run if the centre is always sending instructors from Iqaluit to communities, Nesbitt said. The centre has been around for eight years now and has enjoyed a lot of success running Inuktitut programs. Last year, Pirurvik started a program called “Inuktitut revitalization,” which focuses on Inuit who have lost their language or want to reclaim it. “There’s different instructional approaches and there’s different instructors that would be able to teach those courses,” Nesbitt explained. 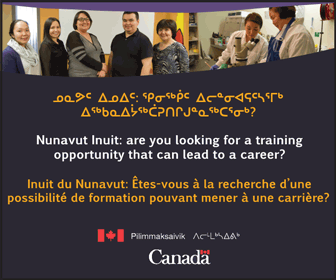 But there is also a program for Inuit who already speak Inuktitut, who may not be fluent. “The big change right now is we are just expanding to other communities and other regions,” Nesbitt said. After the first year of starting up the instructor program, it may take a few years to solidify it. “Everything we do is very experimental and we develop all of our own materials,” he said. For many years there’s been a lack of Inuktitut language training and in the communities there’s hasn’t been a concentrated effort to support the training on a Nunavut-wide level. “There are lots of smaller efforts that have been underway, but they’ve been very localized,” Nesbitt said. Now, would-be Inuktitut instructors can be part of a bigger support group. “There’s dialect differences, but they’re not so significant that you can’t share most of the resources,” Nesbitt said. Eric Anoee Jr., who is fluent in Inuktitut, his first language, is taking the instructor training because he has an interest in teaching Inuktitut. “I want to teach anyone who has an interest in it, I think my people, like my parents had roots in wanting to teach it,” he said. Anoee Jr., from Arviat, is looking forward to instructing for the first time. The new training is a good idea, especially for the workforce to learn it, he said. “It’s worthwhile for anyone who wants to learn it, to learn it. It’s important,” Anoee Jr. said. Anoee Jr. also said the regional approach to teaching people in their own dialects should work well. 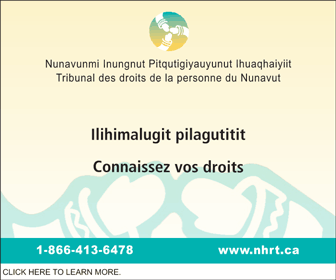 Pirurvik offers expertise to government, land claim and business organizations in language and cultural training, terminology development, and the use of Inuktitut in information technology and on the Internet.